The Prysmian Group was created in 2011 by the merger of Draka and Prysmian. With over 130 years of combined experience it is the largest cable manufacturer in the world (by revenue) and consists of about 19,000 employees, at 97 plants across 50 countries worldwide. 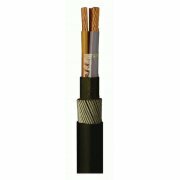 The Draka brand in the UK covers a wide range of power cables up to 1 kV and includes the specialist Firetuf products for fire resistant applications. Draka branded energy cables lead the way especially in specialist applications for fire resistant cables for emergency circuits but also low fire hazard cables for general non-emergency circuits. For the telecommunications market, the Draka brand of multimedia cables incorporates copper and optical fibre cables that cover virtually every communications application. 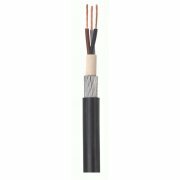 These are superior solutions that will not only meet your current cable requirements, but your future ones too, with greater bandwidths, enhanced durability, and easier installation.